Reshaping and Transforming your body has never been quicker or easier! Watch this video to find out how SculpSure can help you! 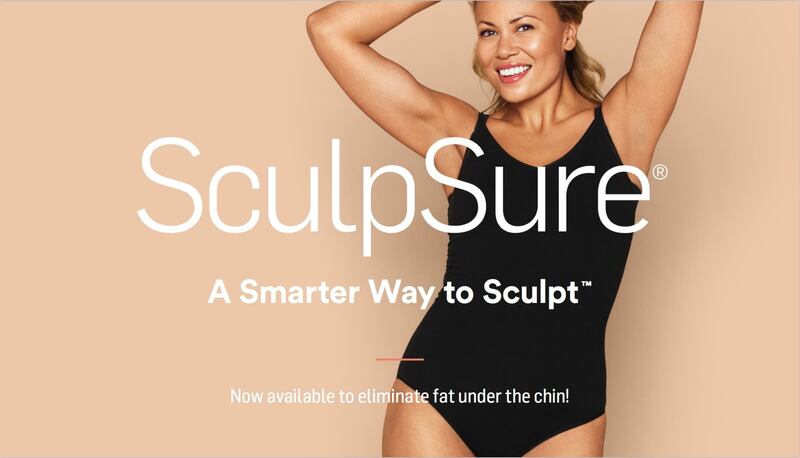 SculpSure is the newest body contouring machine on the market that uses FDA approved lasers targeting and permanently destroying unwanted fat cells. 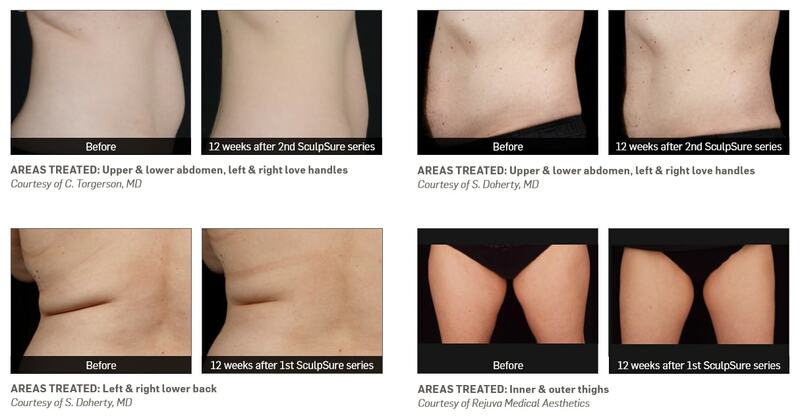 SculpSure’s proprietary technology lasers can work on multiple areas of your body at the same time. Lose those stubborn fat deposits from your abdomen, thighs, flanks, and the submental region of your body (double chin) with NO down time, NO pain after, NO damage to sensitive nerves, skin, tissue, bones, veins or arteries AND you’ll get up to a 24% fat cell reduction per treatment. Target Those Pesky Areas That Have Bothered You For Years. We all seem to have those problem areas, right? Ever wonder why certain areas of your body just can’t seem to lose fat, even with regimented diet and exercise? With SculpSure, you can finally stop, forever, overworking yourself. 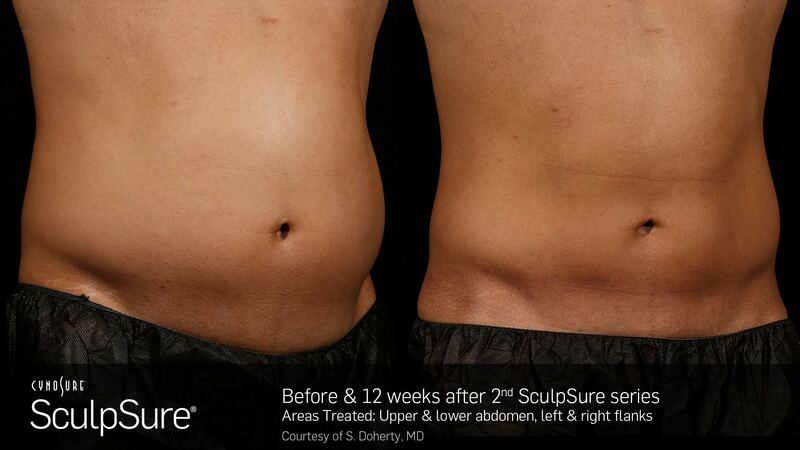 SculpSure lasers permanently destroy fat in your problem areas, that’s right Permanently, up to 24% fat cell reduction per treatment. Transforming your body to a new and beautiful you has never been easier, thanks to the sculpting experts at New Vitality Medical. How Many SculpSure Treatment Sessions Will You Need? When you come in to visit New Vitality Medical the 1st time, we provide you with a FREE thorough consultation to help you understand the body contouring process. We discuss what areas you want to improve and then we select the best pricing value package for you, it’s that simple. Because the procedure is noninvasive, it is possible to schedule multiple treatments without risk of bodily harm, unlike the problems associated with freezing fat cells. 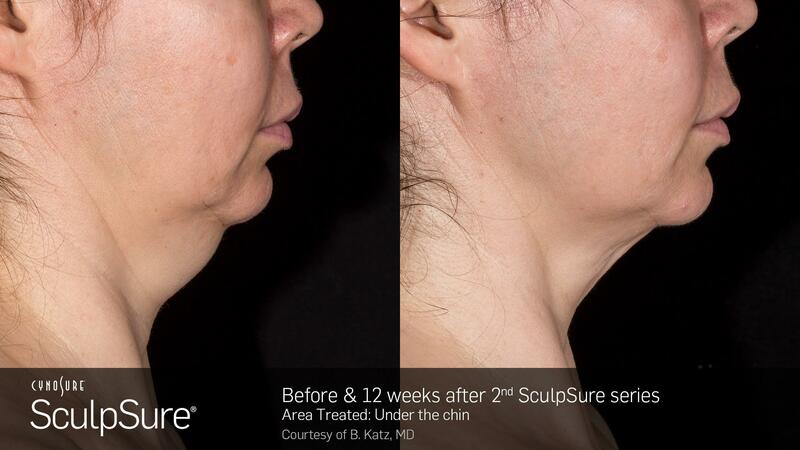 Why schedule Your SculpSure Treatments With New Vitality Medical? New Vitality Medical is Georgia’s preferred provider in laser technology body sculpting. We offer the best pricing while also providing concierge medical services. Why is New Vitality Medical unique? At New Vitality Medical, LLC, we provide quality concierge medical services at a low cost by keeping the patients individual needs and desires at the center of the treatment. Our medical physicians work with you to understand and implement your short term and long term cosmetic goals by developing a treatment plan that fits your desires, your body’s needs, and your budget. 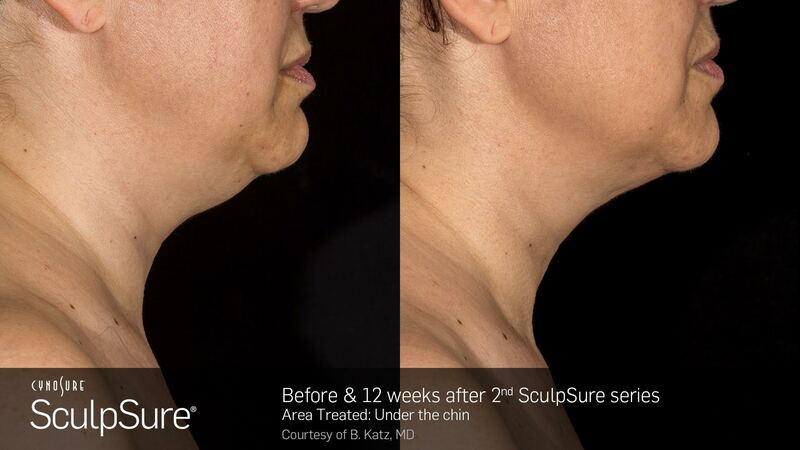 If you think SculpSure is right for you, schedule a FREE consultation by calling (404) 228-7900 or click below. Meet the New Vitality Team! 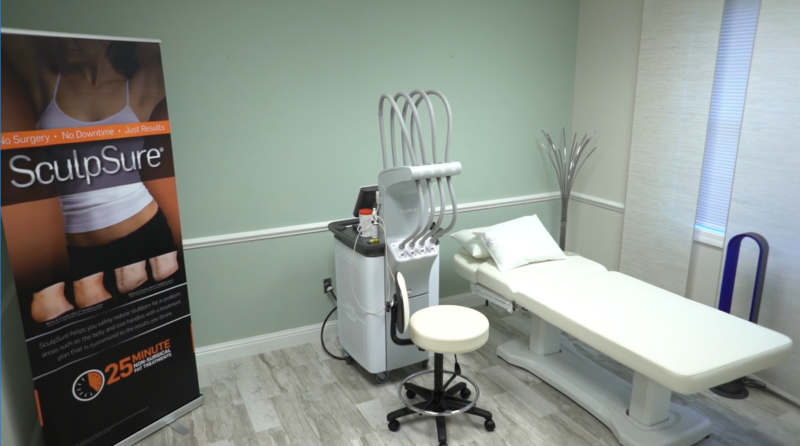 If you’ve struggled with trouble areas that don’t respond to diet and exercise, the safe and effective FDA approved procedure of SculpSure might be right for you. Many of our patients are only aware of the dangerous invasive liposuction methods of removing fat cells, however, the new technology used in SulpSure offers the highest and safest form of noninvasive options for removing fat cells. 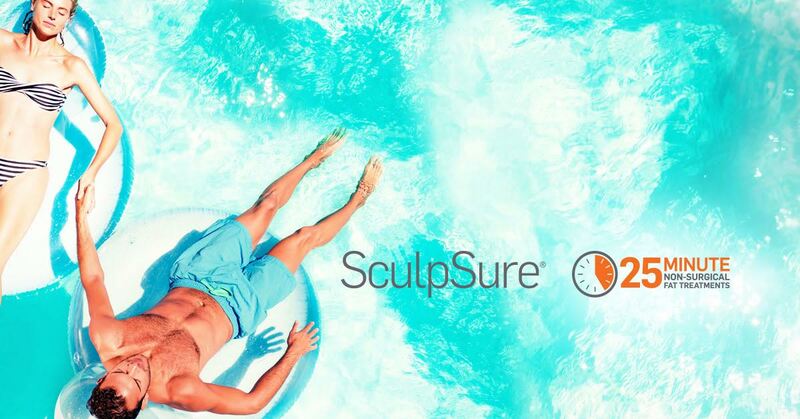 If you think SculpSure is right for you, schedule a FREE consultation by calling (404) 228-7900 or click link below.